and not surprisingly City lost 1-0. They then failed to score again four days later as they drew 0-0 with Dynamo Dresden , and in their last game in the Austrian Alps against Besiktas the Blues won 2-0 with again wholesale team changes in the second half as Roberto Mancini gave his youngsters some game time. The squad, still minus over half the senior players, then flew to China and in a rain soaked Bird’s Nest Stadium they beat Arsenal 2-0, watched by a crowd of over 50,000. Some of City’s Euro 2012 were now back in training at Carrington and the day after the Arsenal game Nigel De Jong and Roque Santa Cruz were included in what was billed as an Elite Development Squad team which took on Stockport at Edgeley Park and won 2-1. Meanwhile The main squad moved on to Kuala Lumpur where they beat Malaysia XI 3-1 an impressive win bearing in mind City only started three players who took part in the last game of last season against QPR, Zabaleta, Aguero and Yaya Toure. Back in England and a day later most of City’s other senior players got their first run out of the season as they joined an EDS team to play Oldham at Boundary Park, City lost 2-1, but the game was more about much needed pre-season match fitness for Joe Hart, Gael Clichy, Jolean Lescott, James Milner, Nigel DeJong and Samir Nasri. The usual transfer rumours were in the media as to who would bolster City’s chances of retaining the Premier League, however with just over two weeks to the first league game, Roberto mancini hadn’t made any new signings, indeed the first transfer activity saw young Slovakian winger Vladimir Weiss move to Italian side Pescara for an undisclosed fee. The final two friendlies of the season were played over the same weekend, half the squad were in Germany, where they beat Wolfsburg 2-0, whilst the other half were in Ireland beating Limerick 4-0. 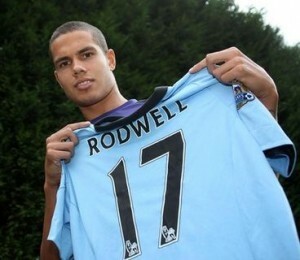 On the morning of the Comunity Shield City announced out of the blue that they had signed Jack Rodwell from Everton for an initial fee of £15M. The Community Shield itself was played at Villa Park due to Wembley being engaged with the Olympics, and an injury hit City team, Hart, Richards, Barry and Balotelli were all ruled out, put up a tremendous display beating Chelsea 3-1 to win the first silverware of the season. City kicked off their defence of the Premier League at The Etihad against newly promoted Southampton and in a match which mirrored The Blues incredible finale game of last season against QPR, City had to come back from 2-1 down to beat the Saints 3-2. However there was bad news as Sergio Aguero suffered a bad knee injury which could keep him sidelined for at least a month. City continued to clear the decks as a deal was finally agreed for Emmanuel Adebayor to join Tottenham, City receiving £5M to add to the £4M loan fee they received last season. Another player to move from the Etihad was Adam Johnson, for an initial fee of £10M he moved to Sunderland. City faced a tough visit to Anfield and had to come from behind twice to draw 2-2 against Liverpool . 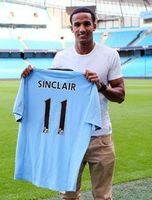 There was no further transfer activity until the last day of the window when City were very busy, first the Blues announced the purchase of 23 year old winger Scott Sinclair for an initial fee of £6.2M. Then popular midfielder Nigel De Jong moved to AC Milan for an undisclosed fee that was to believed to be anything between £5M and £10M. Keeper Richard Wright joined for a free as third choice custodian, and then it was announced that Brazilian defender Maicon was also on his way to the Etihad, moving from Inter Milan for a fee of around £6M. Out of favour Roque Santa Cruz sealed another season long loan deal, at Malaga before just a few hours before the window closed City announced their last two incoming transfers: teenage Serbian defensive sensation Matija Nastasic joined from Fiorentina for a fee of around £10M with Stefan Savic also moving to Fiorentina as part of the deal. 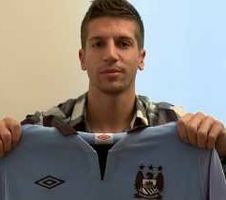 And then Javi Garcia became the most expensive buy of the window as City paid Benfica an initial fee thought to be £16M for the Spanish International midfielder. The final pieces of business on a very busy day saw Dedryk Boyata move to FC Twente on a season long loan and Ryan McGivern go on loan to Hibernian until mid January. None of the new faces appeared in the starting lineup the next day as City took on QPR at the Etihad and although the Blues were a little shakey in defence they won 3-1, and in the early table lay in fourth place moving into an international break. The first game after the break saw City drop points at The Britannia Stadium, Stoke drawing 1-1 courtesy of a controversial Peter Crouch goal, the lanky striker clearly controlled the ball with his hand before scoring. The first game in The Champions league was a prestigeous tie at Real Madrid and in an amazing game City led Mourinho’s team 2-1 with five minutes of the game left, however the Spaniards scored two late goals to win 3-2. Arsenal were the next visitors to the Etihad and despite The Blues still struggling to find last seasons Championship winning form they stayed unbeaten in the league drawing 1-1. Roberto Mancini made ten changes for the 3rd round Capital One Cup tie against Aston Villa at The Etihad, and a lacklustre performance by a very strong City second XI saw them beaten 4-2 after extra time. Back in the League and City travelled to Craven Cottage, where Fulham had only been beaten once in 2012. And even though the Blues fell behind to yet anther controversial decision that saw Fulham score from the penalty spot, City played with the style and swagger that hadn’t yet been seen this season and won the game 2-1. Back to the Champions League and City could only manage one point in a 1-1 draw against Borussia Dortmund at The Etihad, in a game where the Germans dominance was only matched by some amazing heroics from the Blues’ custodian, Joe Hart. Luckily there was no hangover from Europe as City easily beat Sunderland 3-0 at home, before another International break broke up the momentum of the season. There was good and bad news on the injury front when the players returned, Micah Richards was now fit after his injury sustained in the olympics, however David Silva picked up a hamstring injury playing for Spain and joined Javi Garcia and Jack Rodwell on the injury list. A slightly depleted City then put up another good display in the league as Edin Dzeko came off the bench to score a brace at the Hawthorns, to beat West Brom 2-1. Unfortunately, City again, couldn’t carry their excellent league form into Europe and they crashed to a 3-1 defeat at Ajax , to make qualification from the group highly unlikely. The visit of Swansea saw City break two records, they beat the Swans 1-0 to go 33 league games unbeaten at home, a blues’ record, and due to long stoppages for injuries to Swansea keeper Vorm and City’s Micah Richards, where both players were carried off, the referee, Martin Atkinson added on over 12 minutes of stoppage time at the end of the game to make it the longest ever Premier League match. City were now third in the league, level on points with Manchester United and just a point behind leaders Chelsea. There were changes announced in City’s backroom as Txiki Begiristain, was named as Director of Football, a position he had previously held at Barcelona for seven years, to join City’s newly appointed Chief Executive Officer Ferran Soriano, who also has a Barcelona pedigree. Brian Marwood would move over to a new role as Managing Director of the City Football Academy. November would see City play seven games, they started with a 0-0 draw at West Ham , and their chances of progressing in the Champions League diminished further as they drew 2-2 with Ajax at The Etihad. Back in the league and The Etihad was still a fortess as City came from behind to beat Tottenham 2-1, and then sweep aside Aston Villa , 5-0 to go top of the league. Back in the Champions League and City new they had to beat Real Madrid in Manchester to have any chance of making it out of the group, unfortunately, despite a great performance the game ended 1-1 and City were out of the Champions League and still unsure of a place in The Europa League. In the Premier League The Blues were still the only unbeaten team, and they made it thirteen for the season, drawing 0-0 at Chelsea . City then overcame a tough visit to Wigan with a 2-0 win and a week later a typically frustrating Everton side visited the Etihad and managed a 1-1 draw, City were now unbeaten in the last 21 Premier League games and the last 37 home Premier League games, but were still in second place in the league, three points behind Manchester United. It was to be a miserable end to City’s European campaign as they lost 1-0 in Germany to Borussia Dortmund , a result which left City bottom of the group and out of both The Champions League and The Europa Cup. City’s unbeaten home league run of nearly two years was finally broken in a heated Derby Match against Manchester United . The Blues came back from 2-0 down to equalise late in the second half, however United scored the winner in injury time, and as United’s players inciting celebrations in front of the City home fans went unpunished, missiles were thrown at United players and a City fan invaded the pitch. Some great news on the financial front as the board released their Annual Report for the 2011-12 season, reporting losses had been more than halved from £197M to £97M. A sure sign that the Blues should have no problem adhering to UEFA’s Financial Fair Play regulations which come into effect in season 2013-14. City got back to wiining ways in the league with a superb 3-1 win at Newcastle. 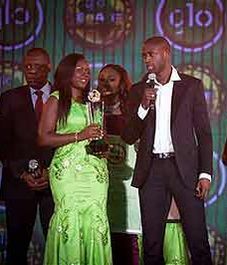 Prior to Playing Reading at Maine Road Yaya Toure was named AfricanPlayer of the Year for the second successive year. Bottom of the table Reading proved to be difficult opponents as they packed their defence for the whole game, however Gareth Barry scored in time added on and City won 1-0.The Festive period brought a mixed bag for Mancini’s team as Sunderland beat City 1-0 at The Stadium of Light on Boxing Day, but then five days later, despite Samir Nasri being sent off in the first half at Carrow Road The Blues beat Norwich in a 4-3 classic.The Blues kicked off 2013 in style with a 3-0 win over Stoke at The Etihad. City then said farewell (for now) to the Toure brothers as they flew off to the African Cup of Nations, meanwhile in the FA Cup 3rd Round The Blues swept aside Watford 3-0.Back in the league with City seven points behind United they had to beat Arsenal at the Emirates to stop the Reds going ten points clear, and indeed they did with their first win at the Gooners for 37 years winning 2-0.A week later City closed the gap to five points as they beat Fulham 2-0 at The Etihad and United drew 1-1 at Spurs.Turning attention back to the FA Cup and City visited the Potteries where the match was in jeoperdy due to two days of snowfall, however on the day of the game the sun came out and shone on a great 1-0 win over Stoke , the only bad news was the loss of Vincent Kompany who left the field with a thigh injury in the first half. It would mean that defensively, City were down to bear bones with Jolean Lescott the only fit centre half now available for the next match.The Blues visited Loftus Road to play bottom of the table QPR and despite having all the possession City could only manage a 0-0 draw and the gap between City and leaders United increased back to seven points.With one day of the transfer window left, City said farewell to the enigma that is Mario Balotelli as he moved back to Italy, joining AC Milan for a fee around £20M.The final day of the window surprisingly saw no incoming transfers to The Etihad. February brought a visit to the Etihad from Liverpool and an entertaining game ended in a 2-2 draw. Yaya and Kolo Toure returned to the fold after an early exit for the Ivory Coast in the Africa Cup Of Nations, however The Blues then gave possibly the worst performance from a City side for two years as they slumped to a 3-1 defeat at Southampton and were now twelve points behind Manchester United and seemingly the title defense was now not possible.Clearly the FA Cup became Mancini’s major chance for silverware and City easily overpowered Leeds , winning 4-0 at The Etihad to book a place in the sixth Round. Although it was unlikely United would relinquish a 12 point lead, all City could do was to win all their remaing games, and in impressive performance against third place Chelsea they beat The Pensioners 2-0, before another clean sheet as the Blues won 1-0 at Aston Villa , however with ten league games left City were still in second place twelve points adrift of United. A potential banana skin in the 6th round of the FA Cup never transpired as City put a woeful Barnsley to the sword with an easy 5-0 win.In the league The Blues compitulated in the race to defend their title as they lost 2-0 against bogie side Everton at Goodison Park. Following a further international break a relaxed City side easily beat Newcastle 4-0 at The Etihad. It was the return Manchester Derby at Old Trafford and City put up a great display to beat United 2-1 and reduce the gap at the top to 13 points with the Blues having a game in hand. 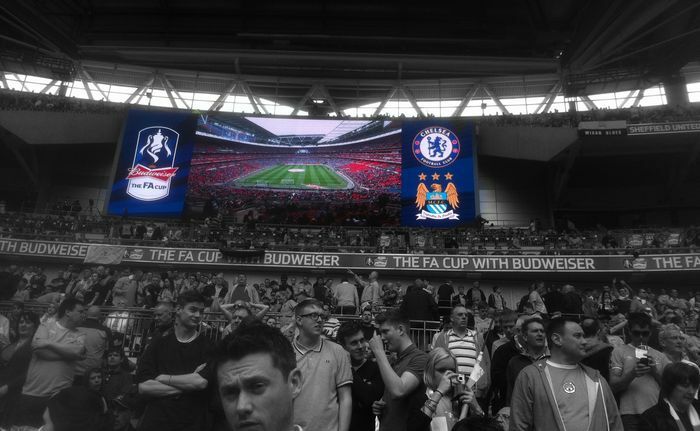 Wembley was the venue for the FA Cup Semi-final and City turned in their second super-human performance in a week to beat Chelsea 2-1 and win a place in the FA Cup Final. three days later and The Blues met their FA Cup final opponents, Wigan, in the the Premier league and despite a tired performance from Mancini’s team they still beat the relegation threatened Lancashire side 1-0. A trip to White Hart Lane saw City dominate the game as they lead 1-0 after 70 minutes, however a mad six minutes saw Tottenham score three times to win 3-1. It was a result that meant Manchester United playing a day later won the title beating West Ham 3-0. The Blues then beat West Ham at he Etihad 2-1 to try and cement their expected second place finish. Nobody could have predicted what would happen within the next week though. Out of the Blue City’s neighbours United announced that Alex Ferguson was to retire at the end of the season and that David Moyes was to take over. However befor City fans could muse over the possible repurcussions at Old Trafford, on the eve of he FA Cup Final there were strong rumours in the media that Roberto Mancini was about to be sacked with Malaga’s Manuel Pellegrini, favourite to take over. City’s owners were silent about the rumours, however the next day at Wembley, City put up a poor display against underdogs Wigan , which clearly could have been put down to the uncertainty over Mancini’s future, and with less than five minutes to go Wigan scored and won the FA Cup Final 1-0 against a City side that just didn’t ‘turn up’. Within a few days it was announced that Roberto Mancini had been sacked, the official statement stated “The Club has failed to achieve any of its stated targets this year, with the exception of qualification for next season’s UEFA Champions League. This, combined with an identified need to develop a holistic approach to all aspects of football at the Club, has meant that the decision has been taken to find a new manager for the 2013/14 season and beyond.” David Platt soon announced he would be also leaving the club and it was to be Brian Kidd who look after the team to the end of the season. City’s penultimate game of the season was at Reading and what looked like a relaxed Blues’ side under the leadership of Kiddo! swept aside the already relegated Royals 2-0 with avery impressive and entertaining performance.Before the final game of the season it was announced that Ivan Carminati, Fausto Salsano, Massimo Battara, Angelo Gregucci and Attilio Lombardo had also been relieved of their services and that Patrick Vieira would take over as head of the Elite Development Squad. The season ended with an unsatisfactory defeat at The Etihad as Norwich beat City 3-2, the players looked dejected on their lap of appreciation after the game. 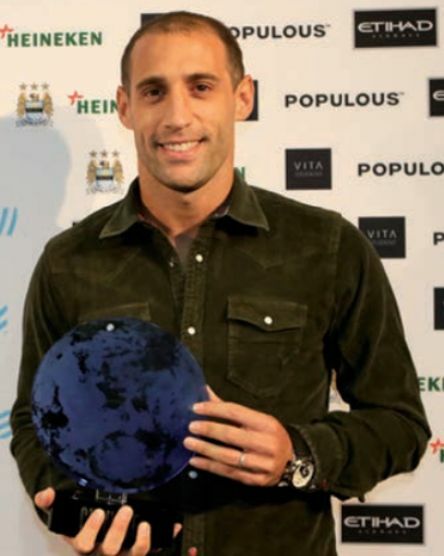 Pablo Zabaleta was named City’s Player of the Year. A strong City squad then flew to America where they would play two friendlies against Chelsea, however before the games got underway The Blues announced that they had aquired the franchise for a 20th club to play in the MLS The club will play in New York and will be named New York City FC and expect to be up and running in two years. The team will play in blue and will rival The New York Red Bulls who play in red and white. Former City star Claudio Reyna was named as the Director of Football for New York City and will be responsible for the recruitment of players and staff. Over 48,000 fans turned up at Busch Stadium in St Louis to watch one of the finest friendlies you will see, as City came back from three goals down to beat Chelsea 4-3. The teams moved on to The Yankee Stadium in New York for the second game and in another thrilling friendly City beat Chelsea 5-3.